The rainfall deficit in Memphis so far this year is about 6" with about half of that since March 1. 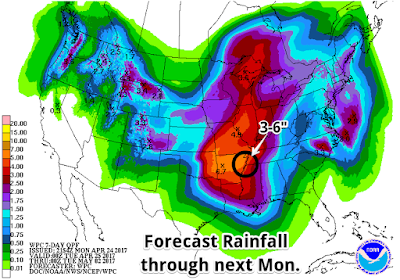 A wet system this weekend looks to put a dent in that deficit with the potential for heavy rain and some thunderstorms affecting springtime outdoor activities. Let's dig into the details. A front earlier this week is basically a non-factor now as we head into the middle of the week and start making plans for the weekend. A few pop-up showers are possible this afternoon and again Thursday afternoon, but coverage should be minimal with temperatures well into the 80s (10°+ warmer than average for this time of year). By Thursday night, a cold front drops south into the metro and brings a chance of showers and thunderstorms. I expect the evening hours to only have small chances, but they'll increase overnight as the front stalls along I-40 like rush hour traffic with multiple accidents in progress. If you're headed to FedExForum to cheer Fizz and the Grizz and chide the refs, you should be in pretty good shape, though some rain might start to fall in sync with the streamers from the rafters about 11pm (#TakeThatForData)! The front will likely stall along the I-40 corridor all day (because that's why I-40 exists - for fronts to know where to stop). 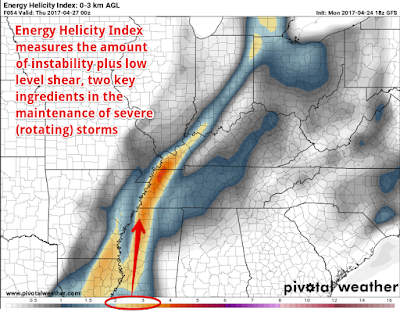 Building instability to its south over north MS and energy in the mid levels of the atmosphere going by to its north will result in scattered showers and thunderstorms during the day and into Friday evening. There could be a few strong storms during the PM hours, especially over north MS. The North American Model (NAM) shows the front roughly along I-40 Friday afternoon with instability ("storm fuel," measured by CAPE) along and south of the front where the best chance of storms will exist. The entire area is currently outlooked under a Marginal Risk (category 1/5) of severe weather, which means a few severe storms are possible, but chances are low. 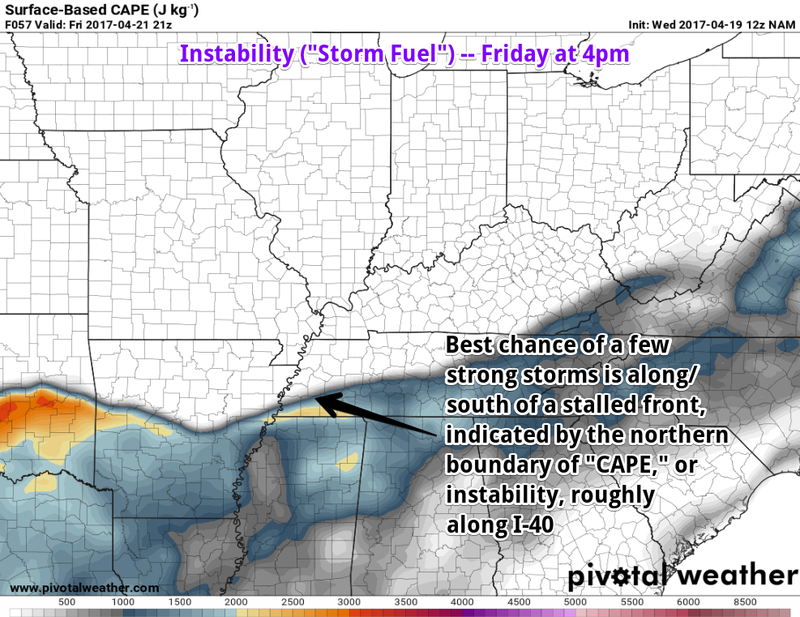 Where the front stalls will be key as the best chance of strong storms, as well as potentially some heavy rain, will be along and south of it. Temperatures will remain in the 70s most of the day. 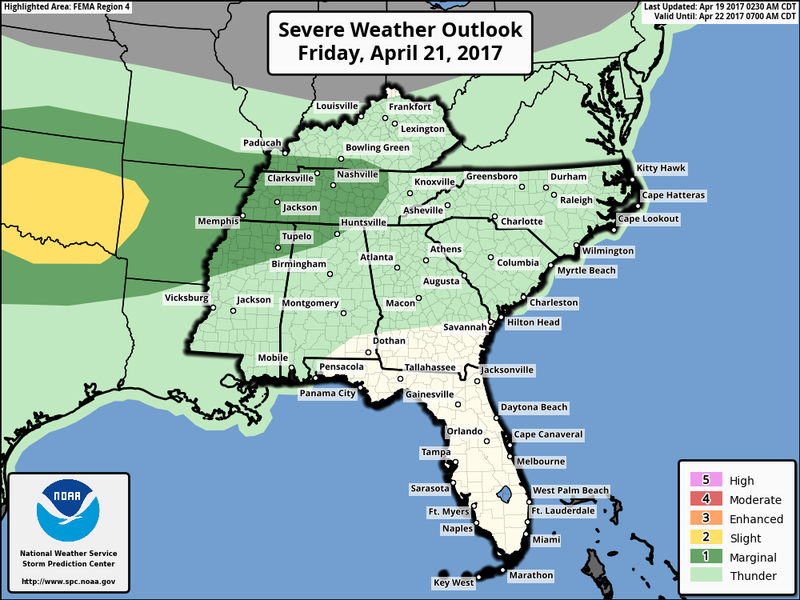 A Marginal Risk (category 1/5) of severe weather exists Friday across the area. A couple storms could contain strong wind. On Friday night, low pressure over OK will move east into AR and start to pull that front back to the north, putting the metro in the "warm sector" of the approaching low by Saturday morning. Expect more thunder as it does so, as well as some downpours and breezy southerly wind. 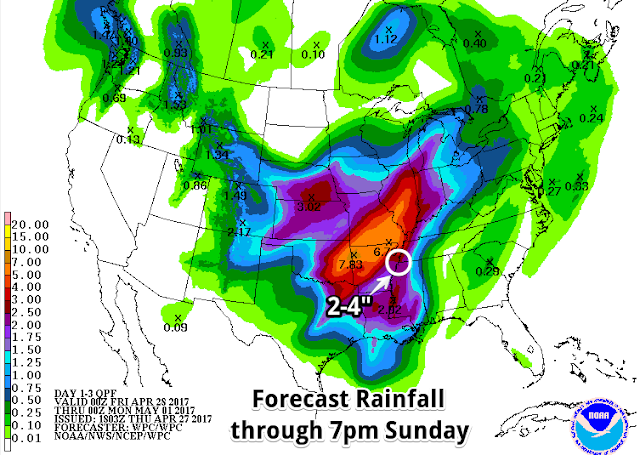 Friday and Friday night activities need to have a rain plan if you're risk tolerance is low. 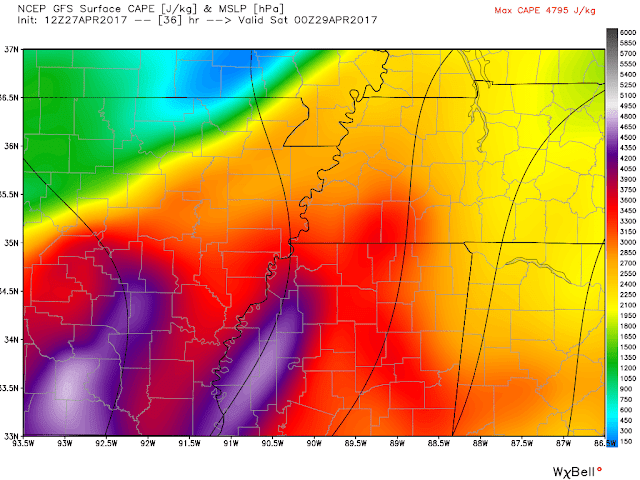 The low pressure system in AR looks like it'll also take I-40 eastbound and move just about over Memphis by mid-day. Models differ some on placement of the low, the warm front pulling north, and timing of a cold front that the low drags across the area. However, without trying to nail down exact details, expect Saturday to be a wet day, and potentially a washout for at least a portion of the day. As the low draws near, thunderstorm chances increase markedly, as does the likelihood of heavy rain. Right now, the morning and early afternoon hours are most "under the gun," with conditions improving steadily as we head towards Game 4 Saturday night. 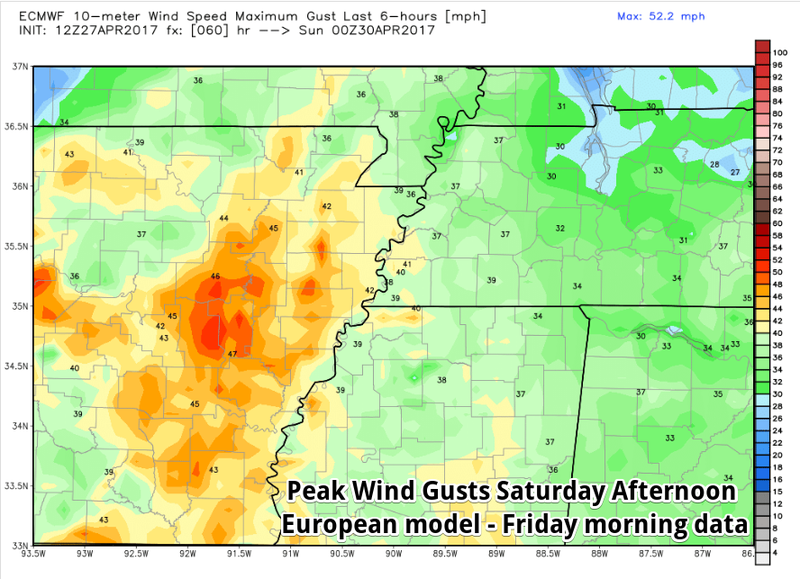 The NAM model expects low pressure to be nearing the metro, dragging a cold front (blue line) towards the MS River by early afternoon Saturday. 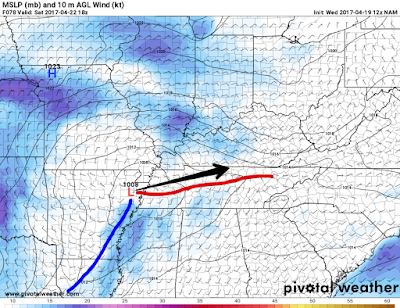 The red line is a warm front that had previously stalled along I-40 on Friday. The Storm Prediction Center has the equivalent of a Slight Risk (category 2/5) of severe weather forecast for Saturday and I can't argue that. 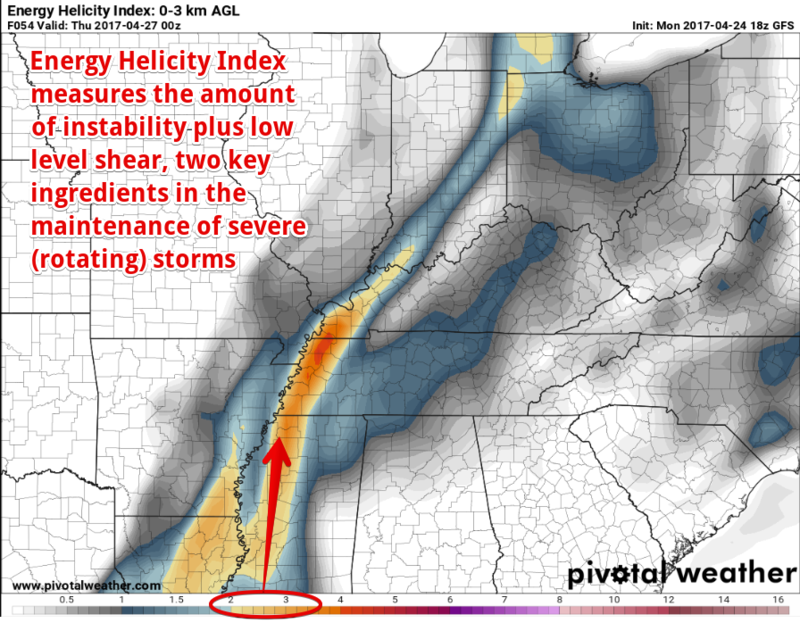 Instability should be sufficient, wind energy is expected, and a potent low will move right over us. That could be the recipe for a few strong storms with wind and hail threats. 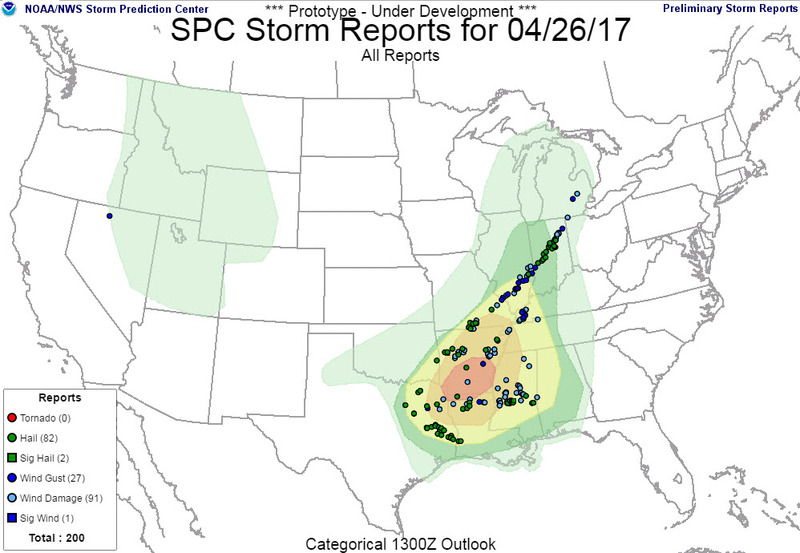 The tornado threat doesn't look too high right now, but where there's a low and a warm front, we have to consider that a possibility. 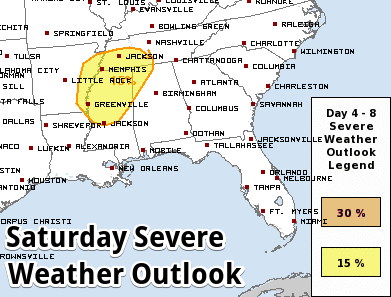 The day 4 (Saturday) outlook places the metro in a 15% risk of severe storms, equivalent to a Slight Risk. 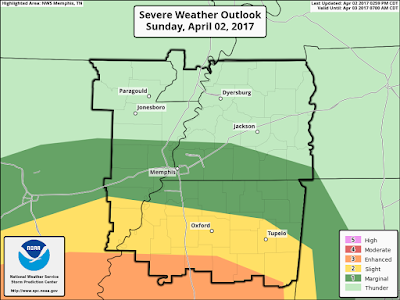 Areas ahead of the low and south of the warm front will have a risk of strong wind, hail, and an isolated tornado. Our threat ends with the frontal passage Saturday afternoon. I believe the threat of flash flooding is more widespread than any of those threats right now though. Most areas in the Mid-South will likely see 2-3" of rain between Thursday night and Saturday evening with a good deal of that Saturday. Some spots could see 3-4" or more if storms train along the front. My concern is actually for spots that see heavy rain prior to Saturday, as that could set the stage for Saturday's rain being all run-off due to wet ground. Fortunately, this month has been fairly dry so far. Withe the low to the east and northwest wind wrapping around it, Sunday will be cooler and likely start off cloudy with clouds diminishing by afternoon or evening. A stray shower is possible as temperatures that start near 50 get no higher than the mid 60s on gusty northwest wind. It'll feel more like early spring than the early summer we have started to notice lately! 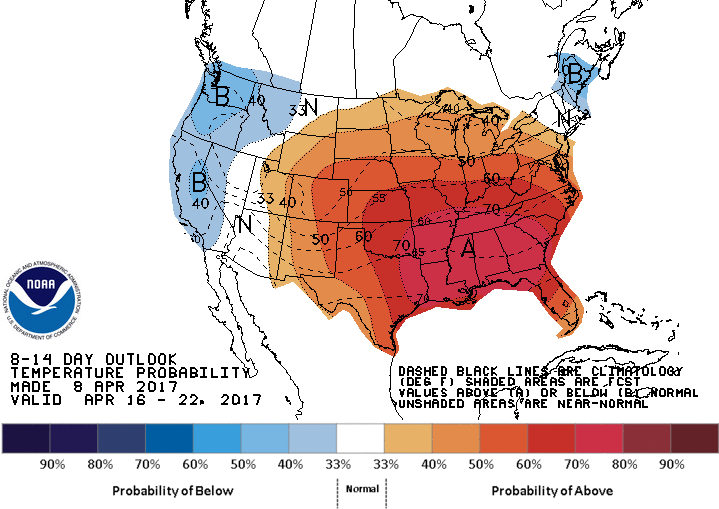 Early next week promises a return to nice spring-like conditions with abundant sunshine and highs in the 70s, rising to 80 by Wednesday. Sounds like something to look forward to! 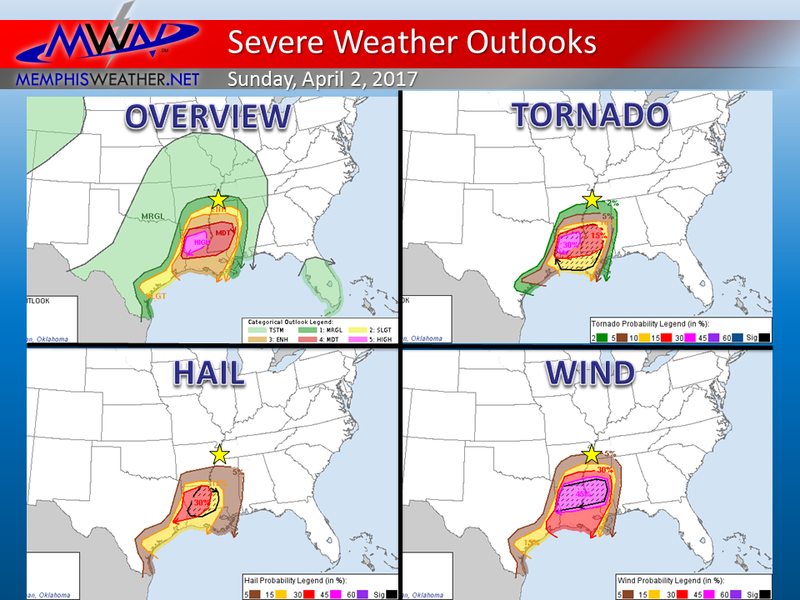 In the past 10 days, four weather systems have brought the threat of severe weather to Memphis and produced severe weather nearby. 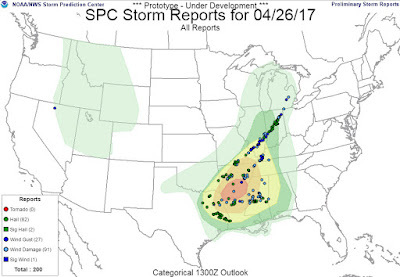 After a beautiful spring weekend, the high overcast clouds are an indicator that more storms are in the region and, indeed, the Lower Mississippi Valley region is once again under the gun for a major severe weather outbreak. 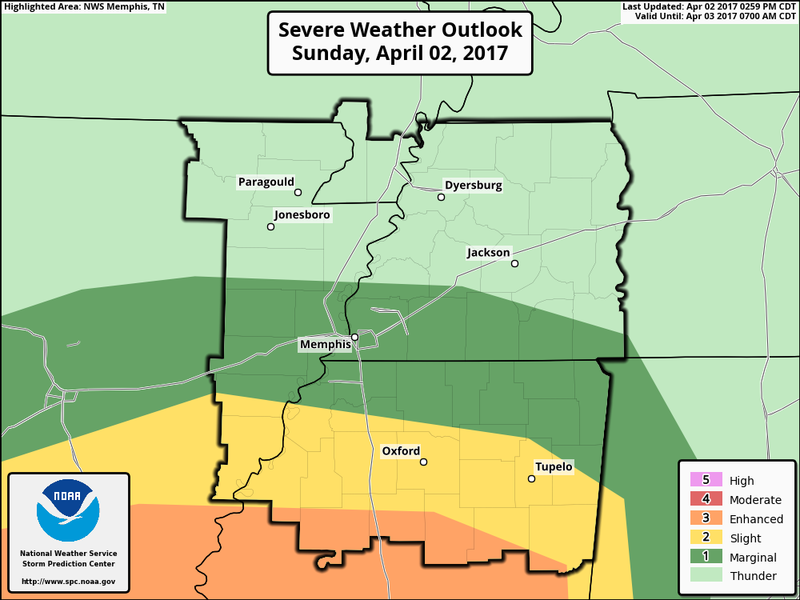 Fortunately this time, Memphis is on the far edge of the severe weather potential, but that doesn't mean well stay dry. To the contrary, a wet night is in store and tomorrow promises another chance of showers and thunderstorms as well. Let's get into the details. 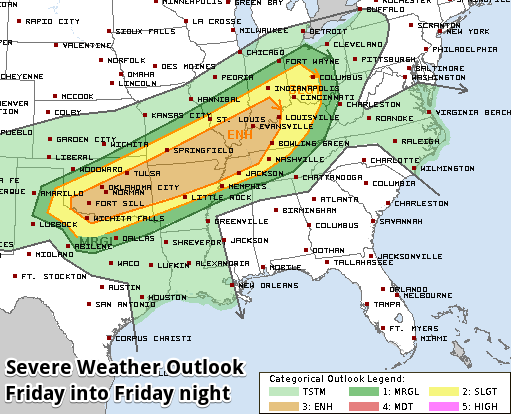 A potent weather system will sweep through the Lower Mississippi Valley the rest of today into tonight as low pressure moves north out of east Texas into northeast Oklahoma, pushing a cold front slowly east. Multiple rounds of strong to severe storms will affect areas to our south as upper level impulses drive the storms. 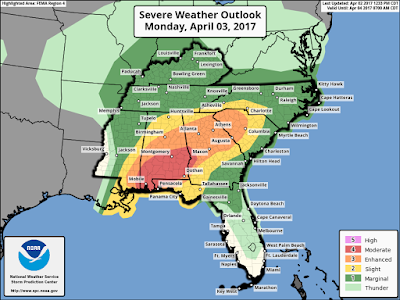 The first round of severe storms is sweeping across Louisiana with additional rain and storms lifting northeast across Arkansas. 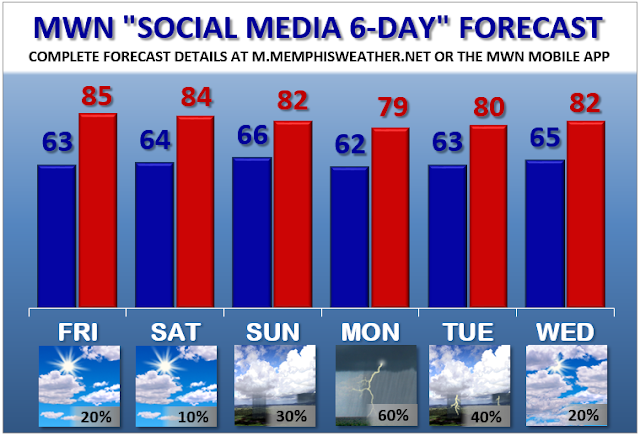 Rain will move over the Memphis area early this evening as storms stay mainly to our south. After the evening slug of rain, additional showers will be likely until another round of heavier rain and some thunderstorms move through the Mid-South during the post-midnight hours, again on the northern end of a much stronger line of storms that passes by to our south. There is a low confidence/risk of strong wind and flash flooding with any thunderstorms during the evening and early morning hours. 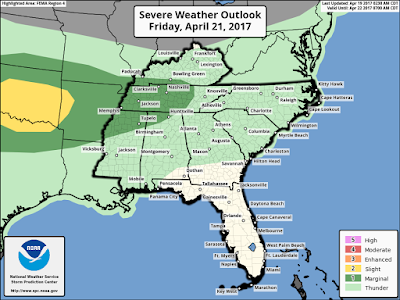 The metro is in a Marginal Risk (category 1 of 5) severe weather risk. 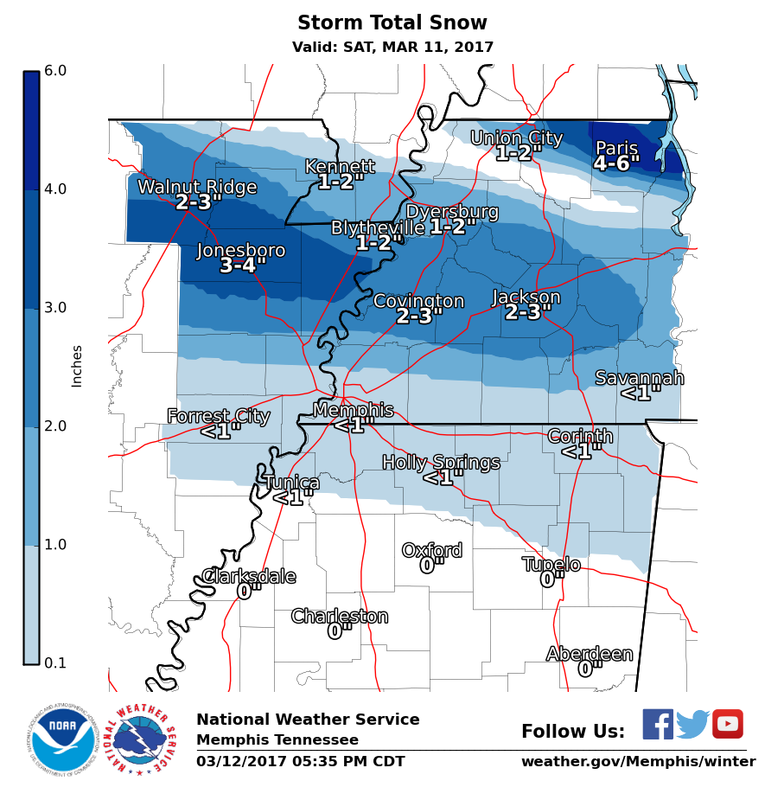 The overnight rain and storms should exit the Memphis area around the start of the Monday morning rush hour, but overnight rainfall will make for wet streets and some ponding of water is possible. Keep that in mind as you head to work and school. 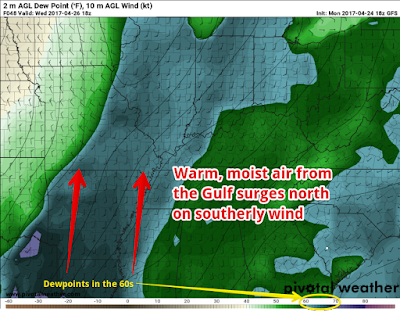 By late morning, the cold front will advance into the Mid-South. Some unstable air will likely accompany the front with a few scattered showers and thunderstorms possible during the lunch hour and early afternoon hours. 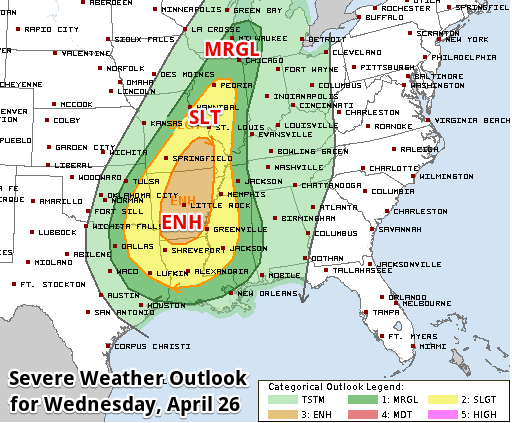 Once again, we are in a Marginal Risk (category 1 of 5) for severe storms on Monday as a few wind or hail storms are possible, though not likely. In addition, Monday will be a windy day with southwest breezes gusting to 30 mph. Monday night and Tuesday will be back to pleasant spring weather as wind returns quickly to the south, resulting in lows in the 50s and highs back near 80 under partly cloudy skies. Another cold front moves through during the first half of the day Wednesday. It appears that most of the precipitation with this front will pass by to our south as well as form to our east as the front enters an atmosphere with more unstable air. 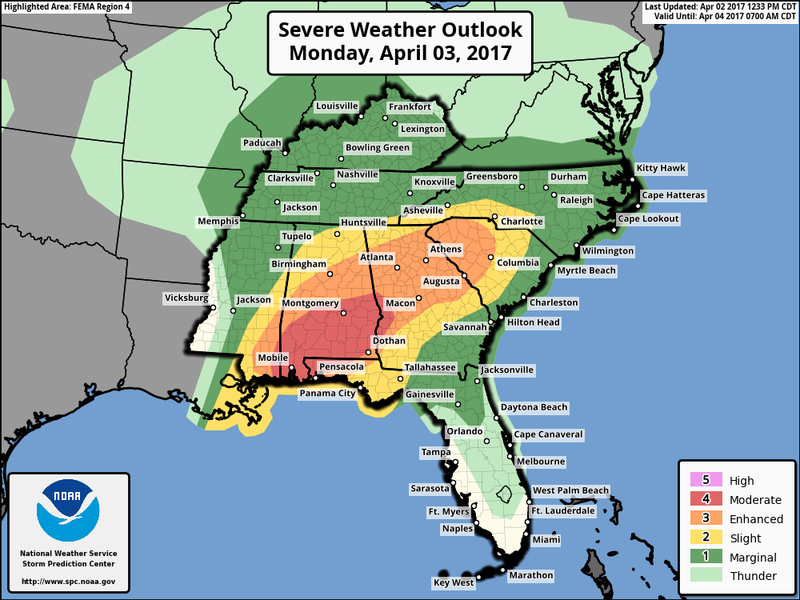 A severe weather risk exists to our east. For the metro, just a slight chance of showers or a thunderstorm is expected. Behind the front, a much cooler and drier airmass moves over the region to dominate the weather pattern the rest of the week into the weekend. 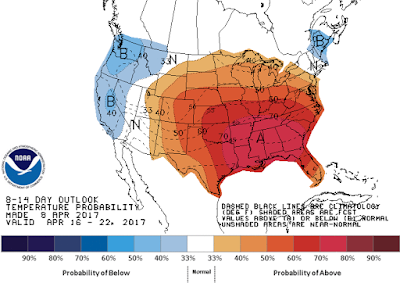 Highs drop back down into the 60s Thursday and Friday with lows in the 40s before warming again heading into next weekend. Be sure you have the MemphisWeather.net mobile app on your smartphone for the latest on tonight and tomorrow's storms. 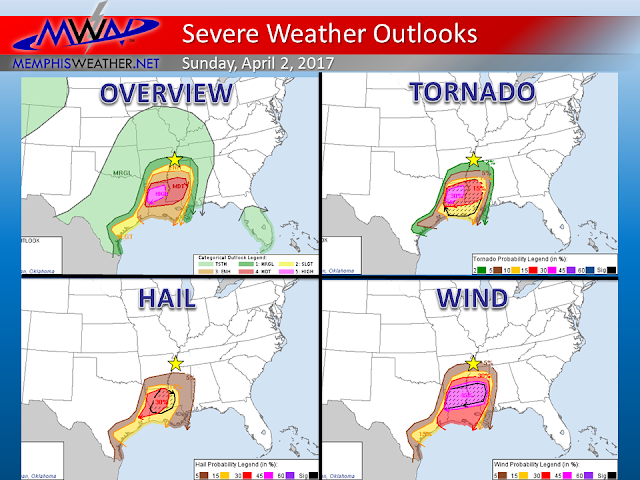 Though severe weather watches and warnings are not anticipated, it IS spring time, so activating StormWatch+ for severe weather alerts (anticipated or not) is also a good idea. 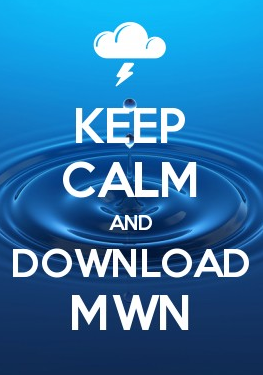 Links to everything you need are shown below.